In a Rolling Stone exclusive, writer Andy Greene outlines the process of Bob Seger’s decision to tour this Spring. Last year his staff quietly scheduled 40-50 concerts which Seger declined initially. But, he turned the page on the book of no and randomly alerted his staff this month that he actually wants to tour. Seger put his staff in a large predicament. It takes months to schedule a U.S. wide tour. To say they have scrambled to get everything together is an understatement. But it has been announced that Seger will embark on a two-and-a-half month tour beginning in March, so I guess they did a good job. A few dates will be announced next week as the staff continues to iron out the tour details. 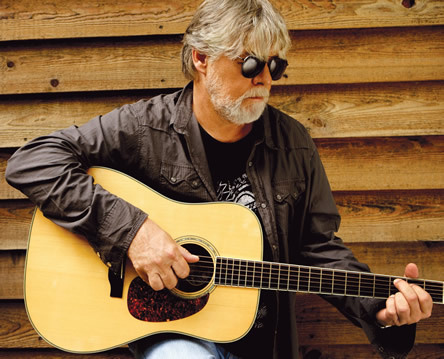 The tour will be classic Seger mixed with some new tracks off of his upcoming 17th studio album set to be released sometime this summer, according to Seger. I saw Bob Seger back in 2006/2007 when he toured last. He rocked MSG to the tune of a packed crowd. I expect the very same this time around. Bright Eyes has released several albums displaying their indie/folk style and lead singer/songwriter Conor Oberst’s melancholic and fluid lyric. In an exclusive NPR first listen, writer Robin Hilton boldly declares that their new album The People’s Key is the zenith of Bright Eyes’ success. Keep in mind Bright Eyes released I’m Wide Awake, It’s Morning which is widely regarded as one of the best album’s of the last decade. And on first listen I actually agree. Oberst and Bright Eyes explore a wide spectrum of music on this album. They move from straight folk into odd experimental tracks. There is no better example than the first track “Firewall” (below) which features Oberst’s friend Denny Brewer, who is the guitarist for the band Refried Icecream, talk about his esoteric views on existence. Esoteric because I don’t want to call them utterly nonsensical and chimerical. The song that follows continues in that vein both musically and lyrically. The album is a huge success and is available for listening on NPR through the link provided. The album comes out for purchase on Feb. 15. I have posted so many pictures of this band on the blog I am running out of picture choices. 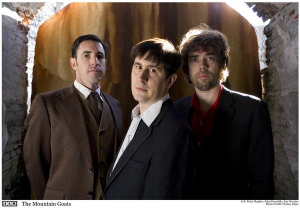 The Mountain Goats are coming back to the Eastern United States to promote their new album All Eternals Deck, which is set to be released March 29. How do I respond to this news? That is somewhat suitable. They are coming to Ithaca on April 2 and I am going to see them for my second time. I just bought tickets. 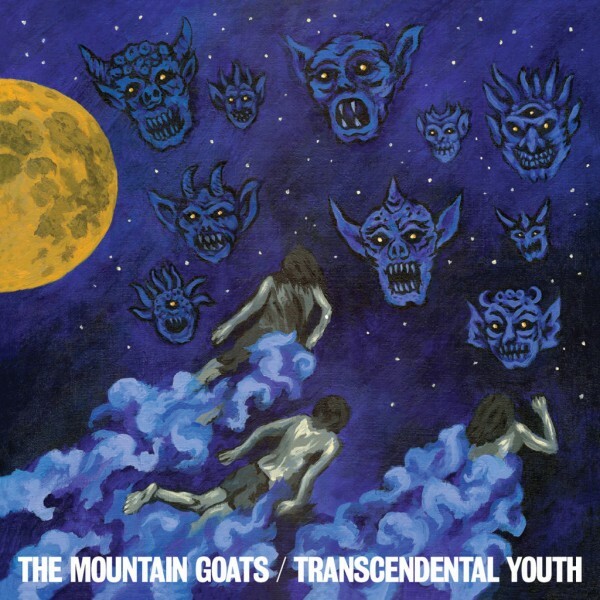 The Mountain Goats are one of my favorite bands and John Darnielle is a lyrical deity. The new album will most likely be fantastic. I will lean on the first song leaked from the album entitled “Damn Those Vampires.” Take a listen. Below is the track list from the album and the concert schedule.